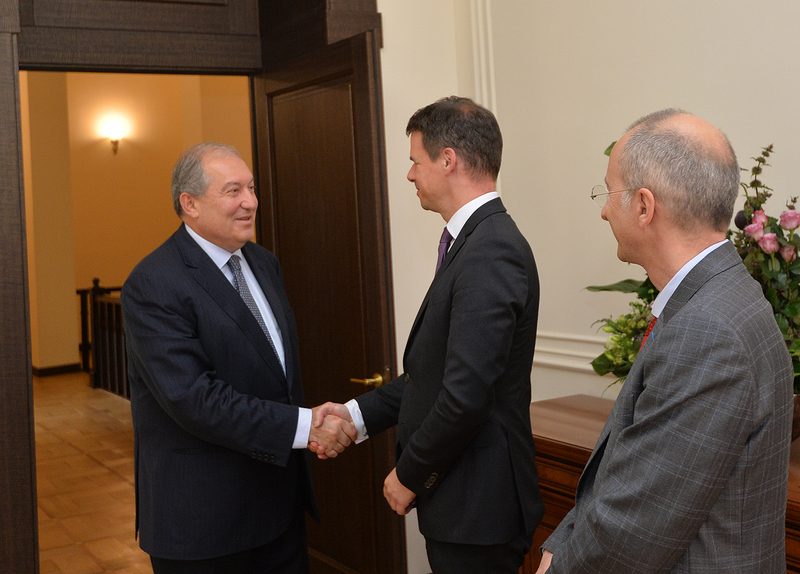 President Armen Sarkissian received today the Ambassador of France to Armenia Jonathan Lacôte and Rector of the French University in Armenia Jean-Marc Lavest. 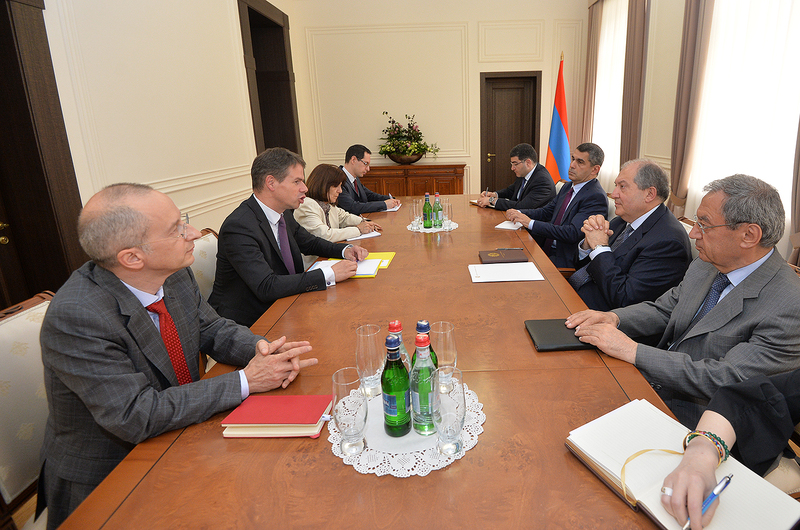 The President of Armenia and Ambassador of France spoke about the state visit of the President of France Emmanuel Macron to Armenia which is scheduled to take place come October. The interlocutors discussed also issues related to the Summit of the International Organization of Francophonie to be held in Armenia this fall, as well as preliminary works related to a business forum to be organized on the margins of the Summit. The parties expressed confidence that this significant event will enhance relations between Armenia and members of the Organization. At the meeting discussed were also issues related to the activities of the French University in Armenia and its upcoming programs.